Sooo refreshing! 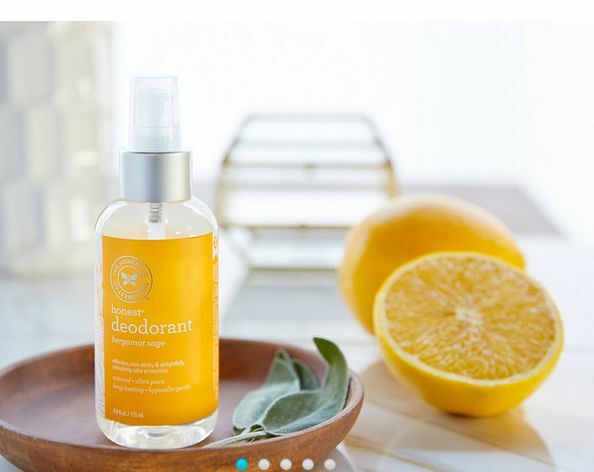 A spray of The Honest Company’s Deodorant, and you’ll be feeling invigorated and ready to hit the trails. Contains an essential oil blend of organic tea tree, witch hazel, lemon, and eucalyptus along with bergamot (think of the orange taste in Earl Grey tea) and sage. We found it to be very effective in keeping those funky smells away during and after our strenuous TrailblazerGirl activities. And because it’s The Honest Company, you know that you can count on it being chemical-free, nontoxic, and certified cruelty-free.